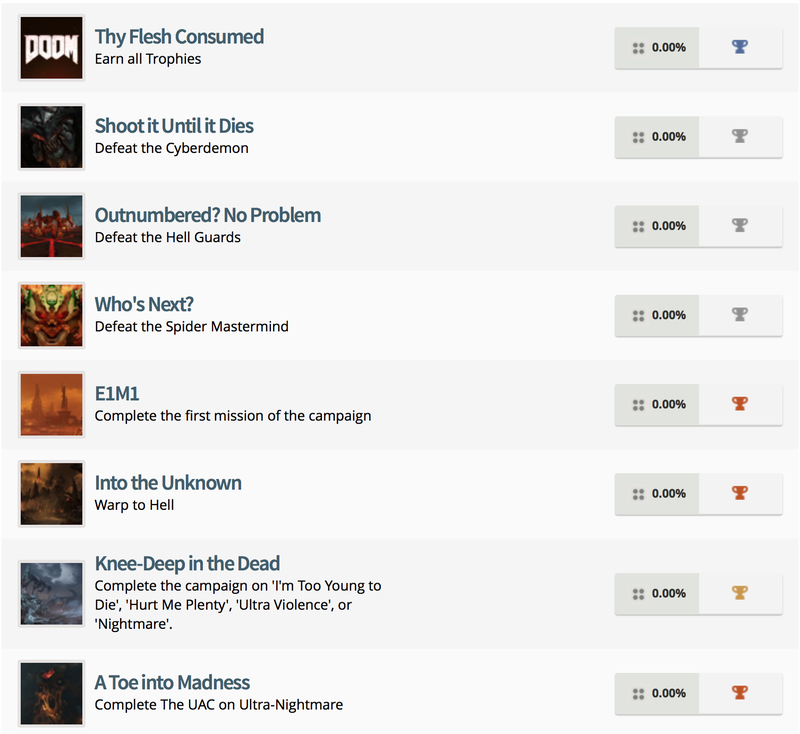 Inching closer and closer to launch, Bethesda has now rolled out the detailed trophy list for the imminent Doom reboot, featuring numerous callbacks to id Software’s seminal genre classic. Comprising 34 digital accolades in total, the collection can be broken down into five Gold, 12 Silver, 16 Bronze and one coveted Platinum trophy appropriately titled ‘Thy Flesh Consumed’. Details of each trophy can be found in the gallery below (via Exophase), and longtime supporters of Doom will unearth plenty of fan service nods — from the BFG to toppling the all-powerful Cyber Demon. Doom has been penciled in for launch across PS4, Xbox One and PC on May 13. Will you be picking up id Software’s long-awaited reboot come release? Do let us know.